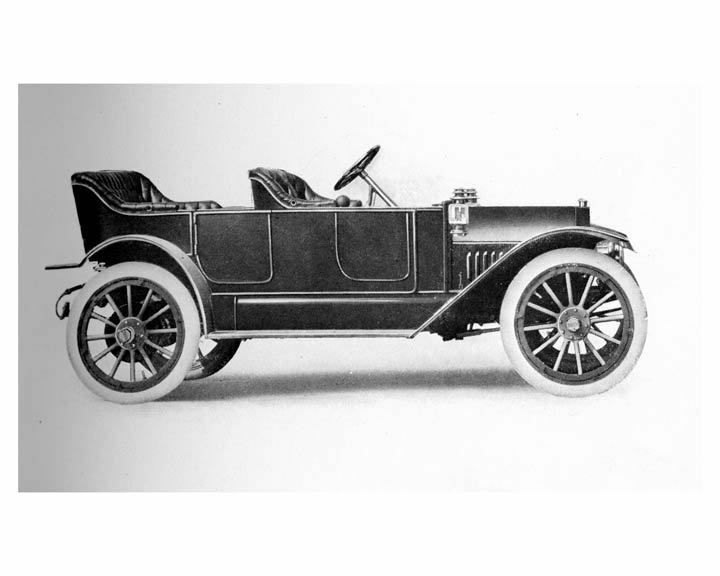 Model T Ford Forum: OT - old photo - what is this? OT - old photo - what is this? Model T Ford Forum: Forum 2013: OT - old photo - what is this? I was just given this photo. It is apparently my grandfather - who passed away before I was born - driving. 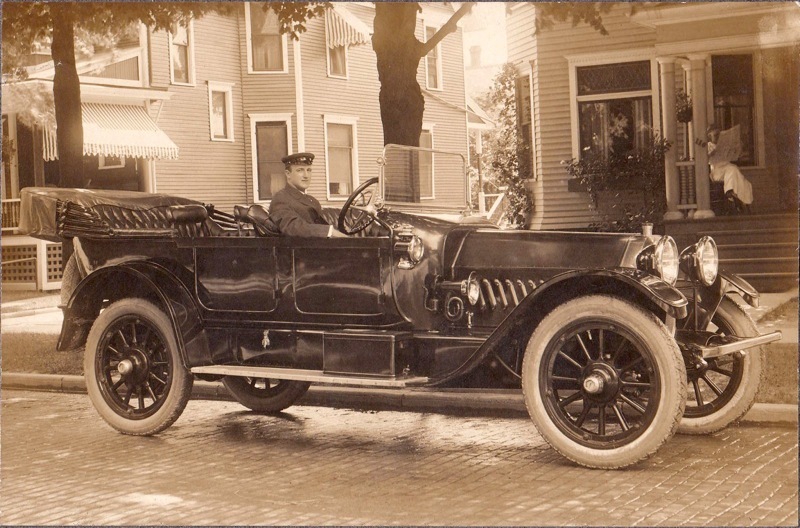 This is supposedly the second or third car in St. Johnsbury, VT. License plate is 1913. Anybody know what it is? I don't believe the car pictured above is an Oldsmobile. 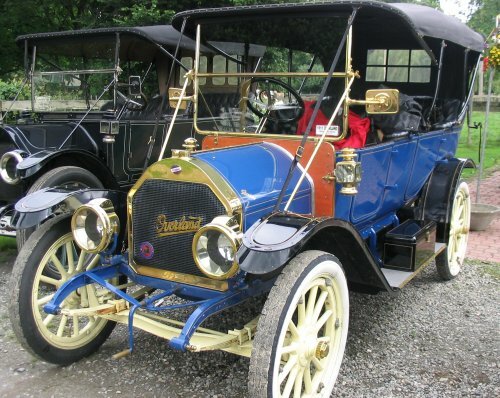 There are many features that seem to be different from the 1911 Oldsmobile Limited picture I posted below. The shape of the radiator, the hubcaps, double running boards, steering quadrant, fender edges, no louvers in the front door, etc. to name a few. 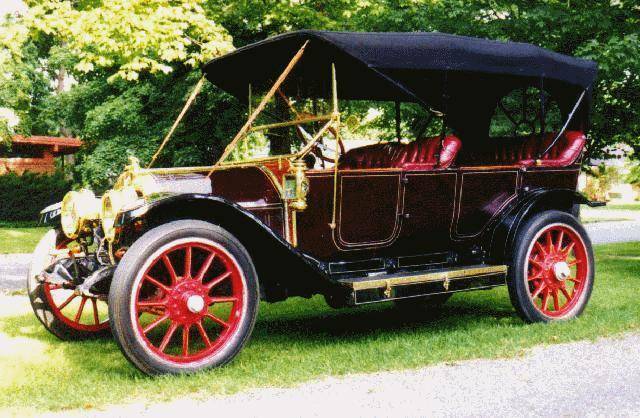 I also think the car above is later than 1911 because it looks brand new (license plate 1913) and since it has a painted radiator rather than brass. Just my two cents worth...I could be totally wrong! Also forgot to mention the huge 43 X 5 tires on the Olds! The fenders and front suspension certainly seem to match a Marquette, but the radiator still doesn't seem quite right. The original car seems to have a taller radiator and firewall. 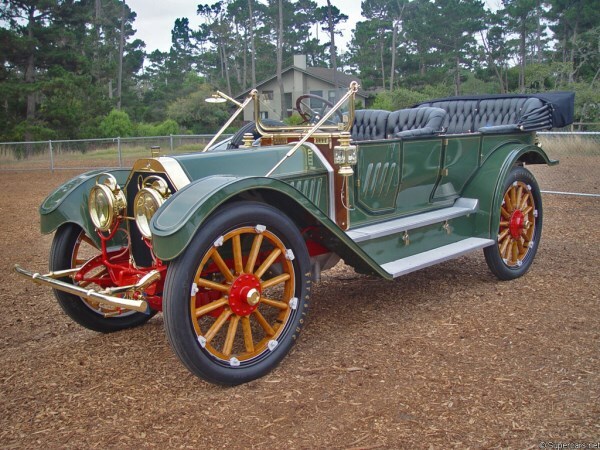 A 1912 Buick Model 29 also seems like a possibility, although the headlight placement doesn't seem right. 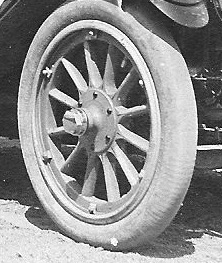 Note that many similar cars have 10-spoke front wheels. The original picture (and the Buick) have 12. They did build 2 horsepowers, may be that the first picture is the higher with taller hood. Danged- it may be perpetual but cars do look alike, and it isn't just modern cars. The front end isn't right on the Overland. I think the shape of the front axle beam is pretty key. A lot of the features of the Buicks looked right to me, but the deal killer is that every Buick I've seen pictures of has the rear door hinges at the rear (as does the Overland). The original picture does not. Layden may be closest with the Marquette. The front end sure is right. Note that the original seems to be a 7-passenger. You can see the back rest of the jump seat behind the driver. Maybe it being a larger car can explain the higher radiator and firewall, and the 12-spoke front wheels. I think Layden got it right. Even though the license plate obscures partially obscures the nameplate, there is enough there to show it resembles the Marquette badge. Chris - when you say "apparently my grandfather" - don't you have other photos of your grandfather that you can compare it to verify that it is him? Sorry for the strange wording - "apparently my grandfather". It is definitely my grandfather. 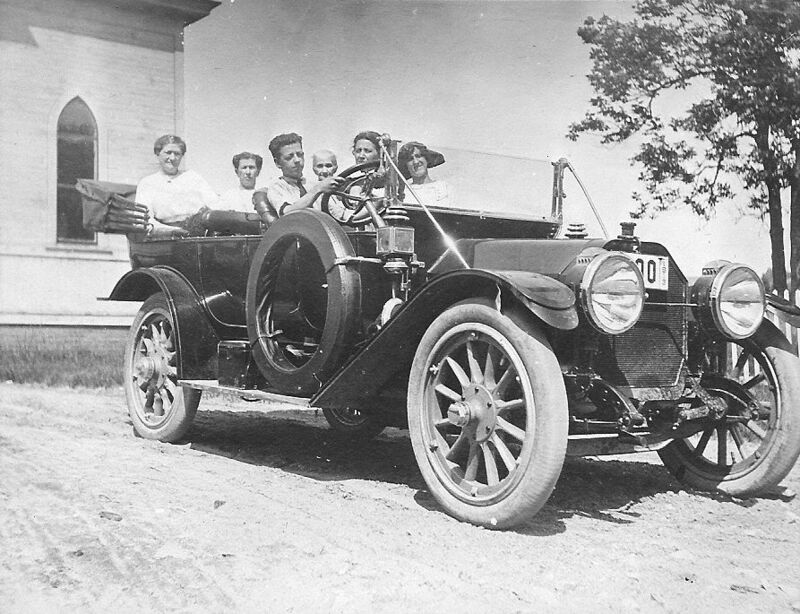 The two women in the front seat are also known, but the others are unidentified. My grandfather died in his early 40's, before I was born, of complications from diabetes, so I never knew him. My Dad says the car belonged to his grandfather. 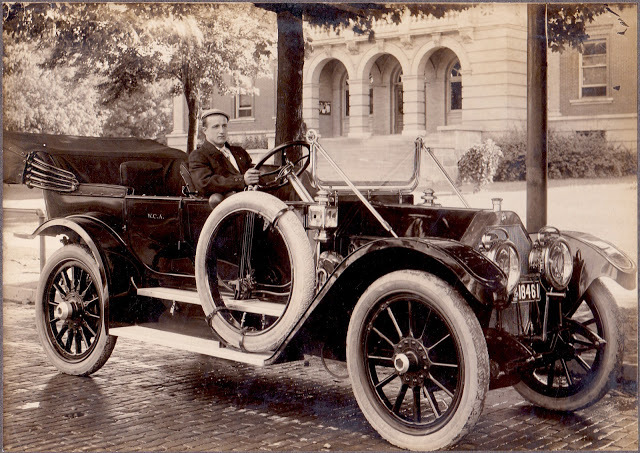 (father of the driver) They owned a drugstore in St. Johnsbury, VT. Must have been doing OK if they could afford a car like that in 1913! Unfortunately, there is no great fortune (or antique cars) left to pass on to me . . . While I agree it is not an Oldsmobile Limited, it is however definitely an Oldsmobile....the radiator and fenders are a dead giveaways (the porcelain Oldsmobile emblem can also be seen just above the license plate). 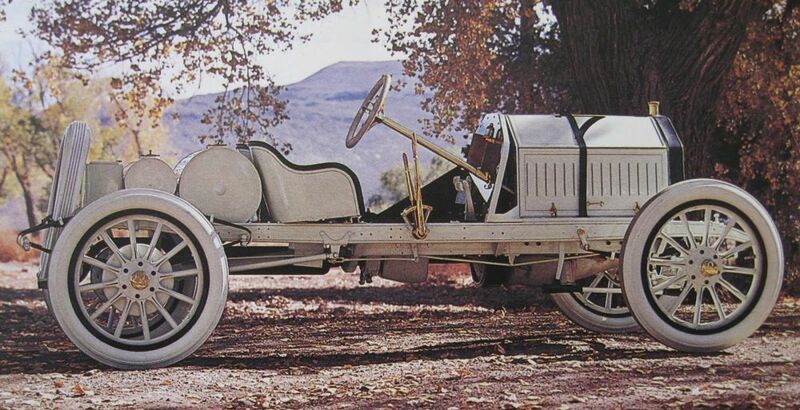 I would say this is one of Oldsmobiles "smaller" offerings in 1911, the Autocrat. It also has a number of modifications. The lower headlight bracket strut-rod (between the frame horns) has been removed to make room for the Hartford Shocks (the headlight forks appear to be welded or re-riveted to the frame using new "homemade" fixing brackets)and the steering column has been replaced. 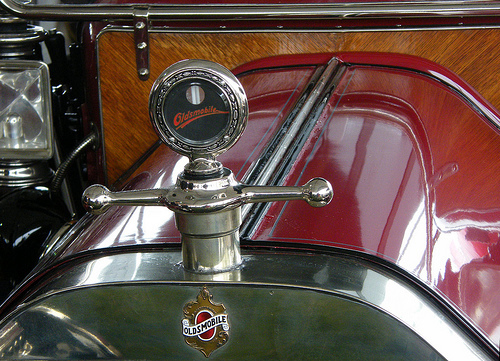 Normally, the spark and throttle controls are under the wheel (like a Pierce-Arrow or Dodge Bros.). 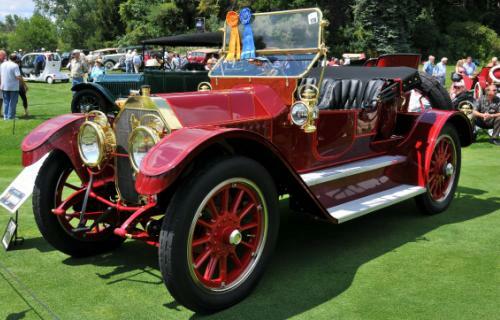 It's not an 1911 Oldsmobile Autocrat nor a 1913 Oldsmobile Model 53. Also - the radiator badge on a Oldsmobile is quite different. I suppose it could be an Oldsmobile Defender instead of an Autocrat...I think that was the smallest offering that year. 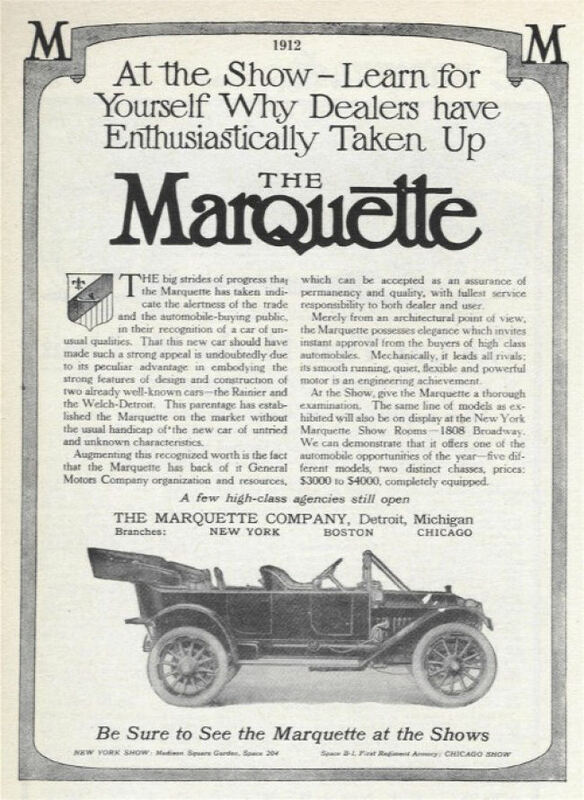 Marquette speedster (called Marquette-Buick by Harrah's), also with hex hubs. The car in question is not an Oldsmobile. Many cars had hex hubcaps. Not at all unique to Oldsmobile. 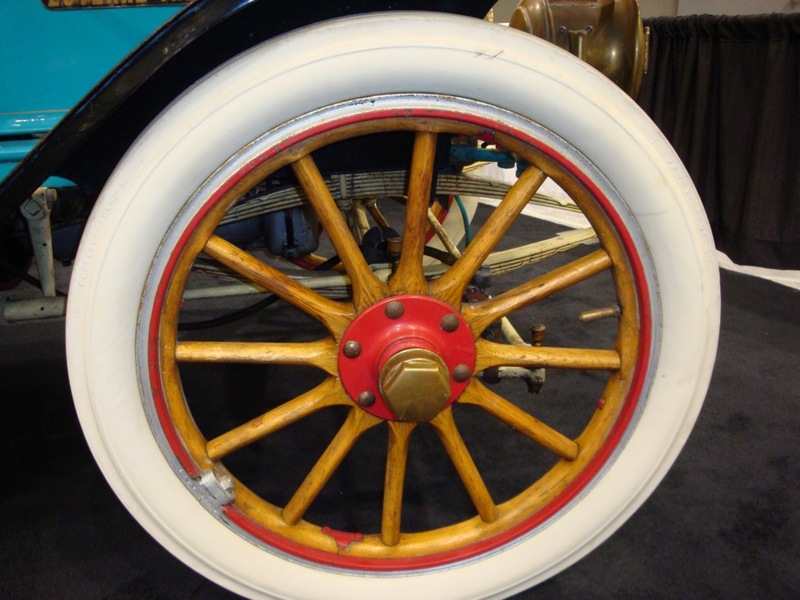 In fact, some automobiles shared the same hubcaps because front axles, hubs, wheels, hubcaps, etc. were sometimes purchased from outside vendors instead of being manufactured in house. 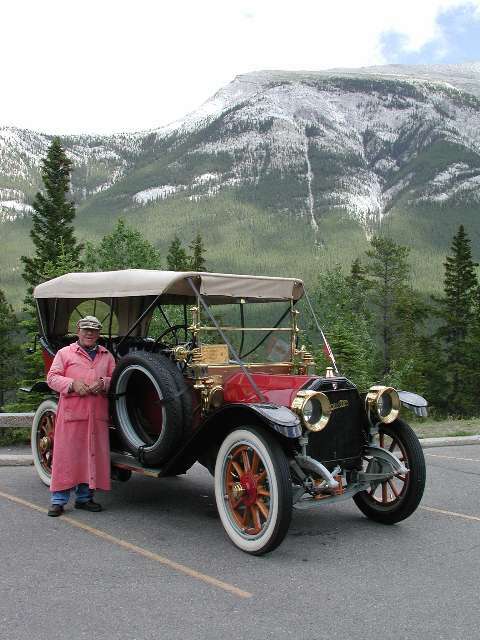 For example, the hubcaps on my dad's 1910 IHC roadster where used on other cars. Here's an example (my photo) of a generic hubcap on a 1911 Luverne Thirty. This is a very rare, Minnesota made car, assembled mainly from components purchased outside the company. Another interesting item is the acetylene gas headlights have been electrified.